At the start of this year’s baseball season, I chatted with a few Father Sweeneys about their expectations for their favorite local teams during the 2018 MLB season. Both Father Bill Sweeney, a New York Mets fan, and Father Kevin Sweeney, a New York Yankees fan, were optimistic about their team’s chances to have a successful campaign. Unfortunately though, only one Father Sweeney is watching relevant baseball at this point of the season. Father Bill, pastor of St. Francis de Sales, Belle Harbor, knew better than to get his hopes up after the Mets jumped out to an impressive 11-1 start under first-year manager Mickey Callaway. After finishing the month of April 17-9, a rash of injuries coupled with downright poor on-field play placed the Amazins’ in the doldrums of the National League East. High-priced sluggers Yoenis Céspedes and Jay Bruce have been non-factors, and young star Michael Conforto is still trying to get into a rhythm at the plate. “One of the things I said was if they’re healthy, they’ll be good, and they weren’t healthy,” Father Bill recalled of our preseason conversation. 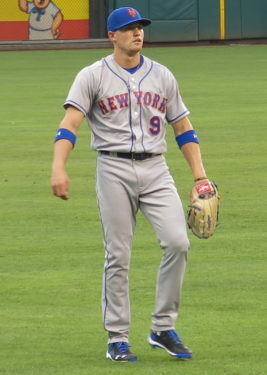 There were plenty of low moments this year in Flushing, but it hasn’t all been doom and gloom. 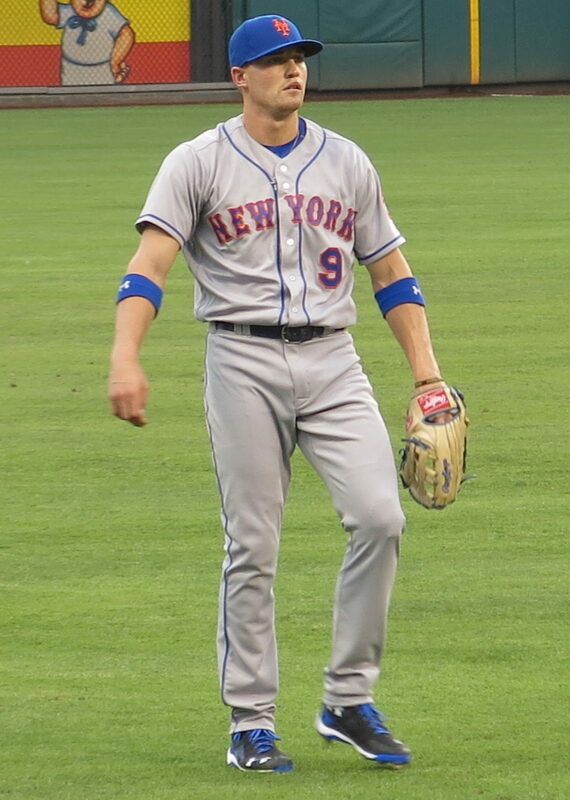 Outfielder Brandon Nimmo was an offensive sparkplug at times, and pitcher Jacob deGrom turned in a dominant season on the mound. Rather than move deGrom at the trade deadline for young assets, the Mets wound up keeping him – poised to give it another go next season. The key of course is for the pieces they have to remain healthy, as well as improving the roster with impact players. This was destined to be the year for the Mets. A veteran corps of position players was supposed to mesh well with young, talented starting pitching. But instead, the team and fanbase are already looking forward to next year, while the Atlanta Braves and Philadelphia Phillies battle for the division crown. “The great thing about baseball is that you can’t really predict most of the time what’s going to happen and the different teams that get into the playoffs every year,” said Father Bill. Meanwhile in the Bronx, the Yankees are the second-best team in baseball, yet things have not been as smooth lately as the team prepares for a return trip to the postseason under their first-year manager Aaron Boone. After being swept in four games by the surging Boston Red Sox in July, the Yankees’ hopes of an American League East division title began to wane. The Bronx Bombers though are firmly entrenched into one of the two American League Wild Card spots. 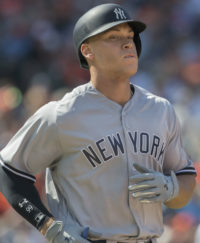 Young superstars Aaron Judge and Gary Sánchez have each missed significant time. However, the Yankees can still score runs at will with a potent offense led by Giancarlo Stanton. “For Yankee fans, the expectations are always the same—that they hopefully win the World Series,” said Father Kevin, pastor of St. Michael’s parish, Sunset Park. “That remains to be seen, but I’m certainly optimistic. Clutch contributions from youngsters Gleyber Torres and Miguel Andújar have come as a welcome bonus. At the trade deadline, the team added two veteran, quality starting pitchers – J.A. Happ and Lance Lynn – to strengthen the rotation for the stretch run. As it’s currently constituted, the Yankees would host the Wild Card game, a one-game playoff to determine which team moves on to the Division Series. Father Kevin said he’d much rather the team face the Oakland Athletics in that game. The A’s have impressed this season, but the other option would be the reigning World Series champion Houston Astros, who boast a talented starting rotation led by the ageless Justin Verlander. As Father Kevin gears up for what he hopes will be “another great Yankee October,” Father Bill is instead focused on the offseason.